LOGIPREN MEETS THE CHINESE MARKET. 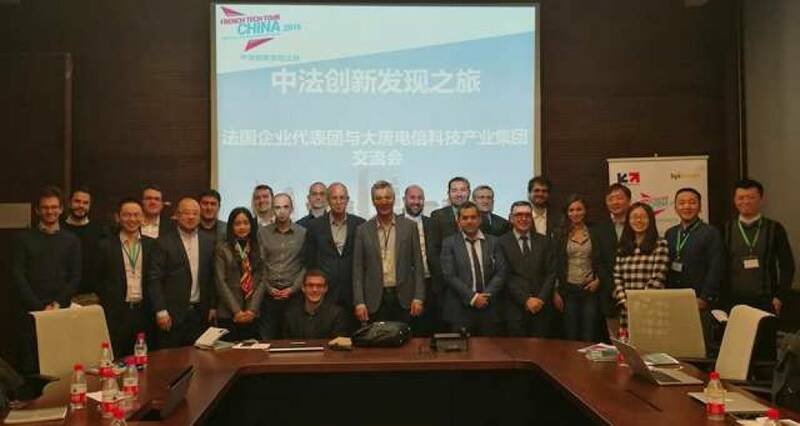 One week with 11 French start-ups in China. Bpifrance, Business France and the Chinese telecommunications giant Huawei sent 11 French start-ups to China. Between Hong Kong and Shenzhen , the entrepreneurs are attempting to find openings in the gigantic Asian market. On the evening of his first day in Hong Kong , Clément Saad, managing director and founder of Pradeo is confident but cautious.”We had a meeting with the “services” branch manager of the large Chinese group NEC , a senior person , which would imply that they seem interested. But we are not declaring victory yet, as on a similar tour in the USA we quickly realized that the more the people across the table shouted “Amazing ! Amazing ! the less positive the result. 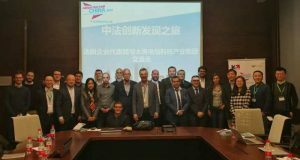 Like this Montpellier based start-up , 10 other French start-ups flew to the Asian megapolis last week with the intention of getting a foot in the Chinese door. The 11 companies at the outset of this journey were split into two phases : 7 start-ups were selected by bpifrance and Business France and 4 others by Huawei, tour partner , via its Digital IN-Pulse competition. For them, the main pitfall is grasping what the meetings really lead to. “My exhange with Lenovo was formal , very classical. Then I met the financial director of Unisplendour [ Hong Kong division of Tsinghua Unigroup, a semiconductor giant , editor’s note] and the lunch lasted two and a half hours. At one point , we stopped talking business and he spoke about his children and insisted on a toast “, says Gilles Hamou , managing director of UpMem. For all the start-ups there are back to back meetings set up by Business France. Three for CAILabs on the Tuesday. ”Due to the transport time by taxi from meeting to meeting a fourth would have been impossible”, adds Jean-François Morizur, its founder. On the same evening, the little platoon of this French Tech Tour meets up at Metta , an establishment, which is a cross between a club and a co-working space on the 21st floor of one of the many glass towers which are dotted around the Lan Kwai Fong business district. Grasping microphones, slides in the backround , the start-uppers parade and pitch on a wooden stage in less than five minutes on the stopwatch. In front of them an assembly of some 80 people composed of other start-uppers, incubator and accelerator managers, representatives of large groups, investors “Two came to speak to us after the pitch “ enthuses Jean-François Morizur, holding his new collection of business cards. The rest of the program is in continental China. Off to Shenzhen , a few kilometers away with two border controls. World hardware capital , this megapolis of some 15 million inhabitants , twice as many as Hong Kong, is home to the decision-making centers of numerous constructors. “Everything is going to happen here for us. We are going to meet Huawei, Lenovo, Tinno[ which constructs Wiko smartphones, editor’s note],ZTE …” points out Clément Saad. The same thing on Thursday with another pitching evening , this time in a bar –restaurant in a replica of a galleon a, anchored in the Shenzhen intercontinental pond. The public is similar to that of Metta two days earlier,the presentations are in English again but the slides are in Mandarin. Why? The language of the Beatles is less common here “It’s to show that we are capable of adapting to their culture . We were also advised to install WeChat on our smartphones. During the meetings the managers we meet are pleasantly surprised when we have it. Moreover, we do not exchange business cards but our WeChats “ explains Pauline Dreyer, co-founder of Logipren. The ways of working also differ between Shenzhen and Hong Kong ,which is much more steeped in western culture. “Right from the start of the meeting they showed us a slide presentation of their group, we can sense their real determination to show they are compliant with European performances”, she adds. ”I was received by Tencent (WeChat , QQ, Clash of Clans) in a new building comparable to La Défense and 100 meters-away from their new building. Due to open in 2017 it will have the capacity to welcome 10,000 people and the indoor pool will be heated by their servers!”, says Gilles Hamou. “The contacts I had in Shenzhen never say ”no” formally, it is more delicate to know exactly what the result of the meeting is”, Pauline Dreyer adds. A palpable feeling in several of the reviews halfway through this French Tech China Tour. “ Our feeling is globally positive. The main difficulty is gauging the degree of desire of our contacts, who don’t give anything away”, confides Clément Saad. ”We are not signing the contracts yet but these exchanges have definitely enabled us to go forward”, concludes Jean-François Morizur. This week, the 11 start-ups are going to Shanghai and Beijing. Numerous meetings on the menu and just as many Chinese puzzles. These cookies are required to enable us to store user preferences about cookies usage. If you disable these cookies, we will not be able to store your preferences, so at each visit on our website, you will have to enable/disable again the cookies.